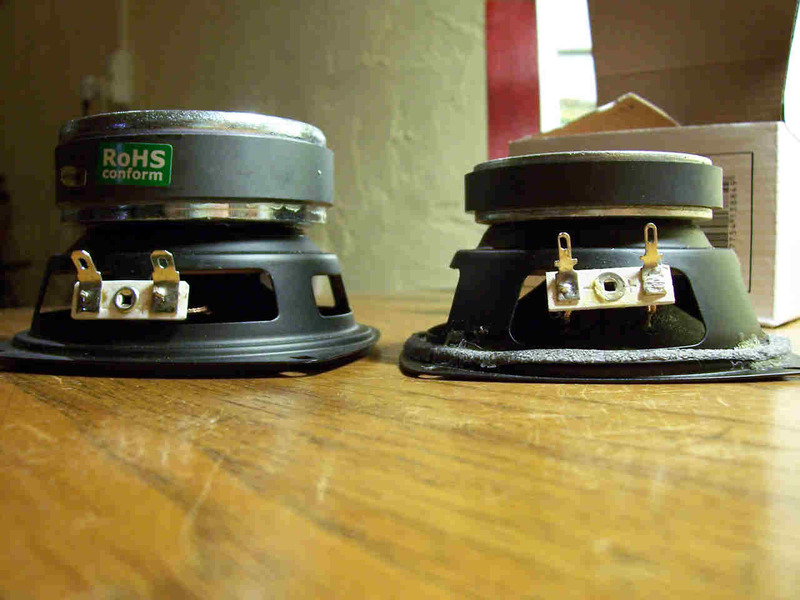 how to get the most out of a small & cheap speaker. One of the smallest Mercury M versions, a little 5 Litres closed box. 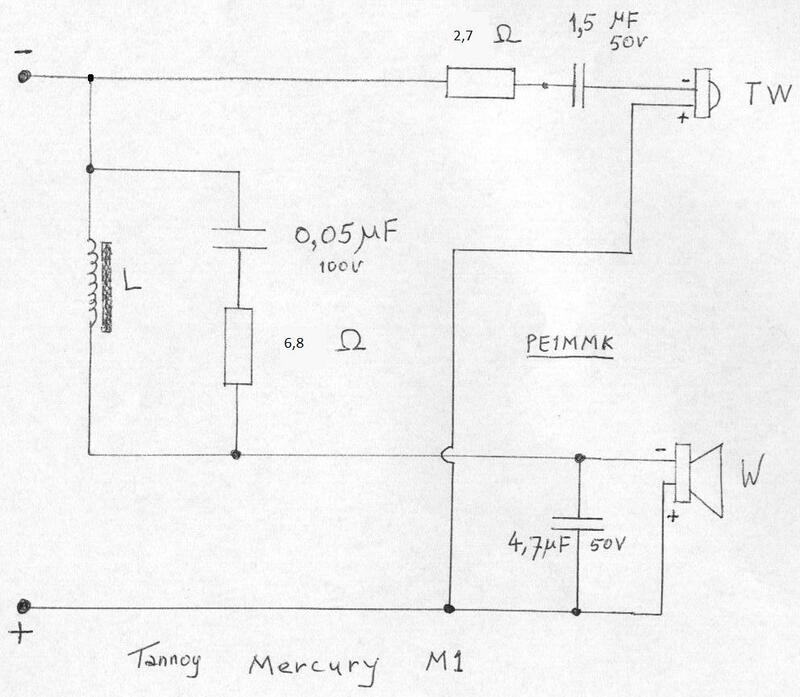 X-over schematic diagram of the Tannoy Mercury MR.
Actual pcb of the x-over with electrolytic capacitors. 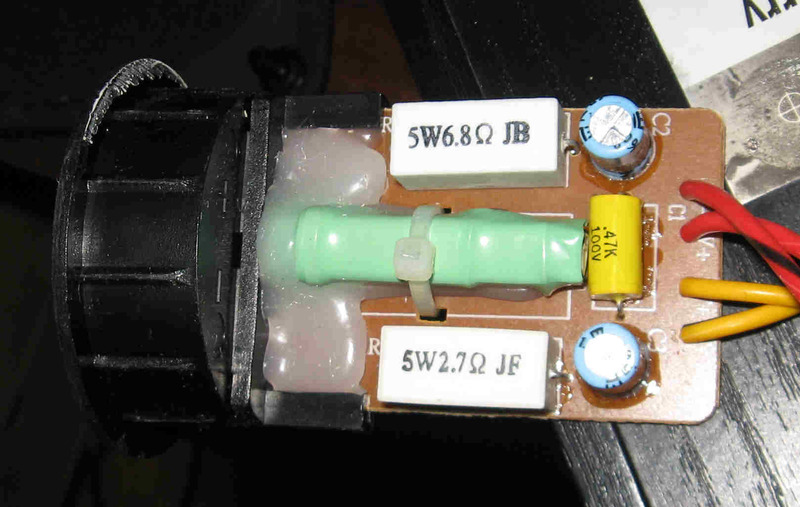 Updated x-over with polyester capacitor for the HF section. 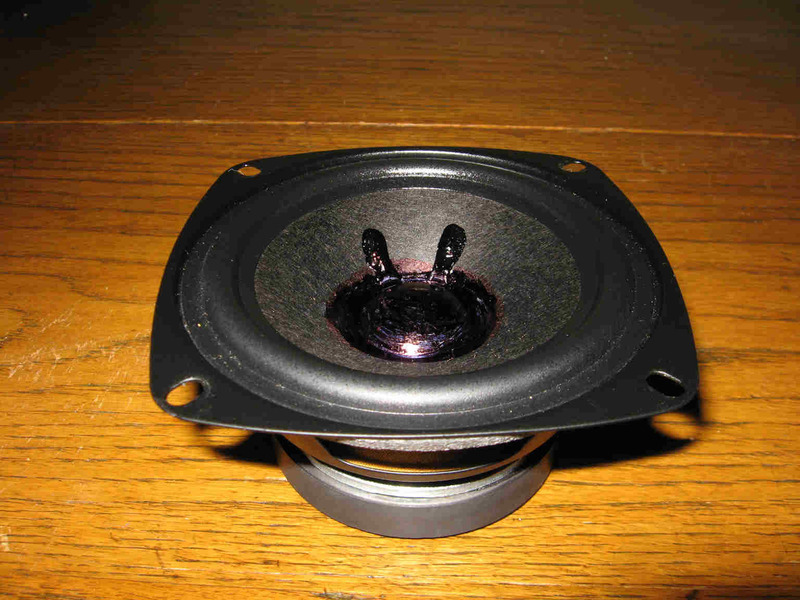 The made in China woofer of the Tannoy MR, a real cheapy. and gets loose from the voicecoil . 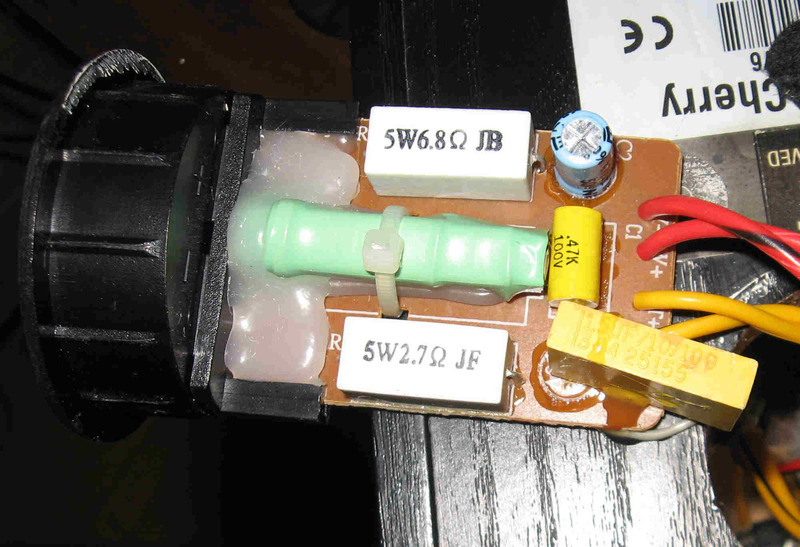 So repair & revision of this cheapy is sometimes necessary. On the photo below a revised version. 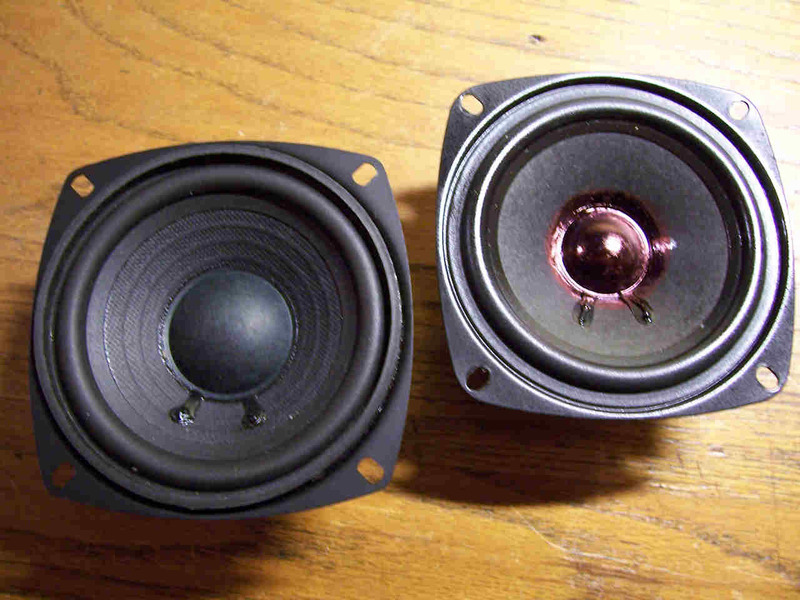 After repair I decided to find replacement, just out of curiosity if the same speakers were available in case of a defect. 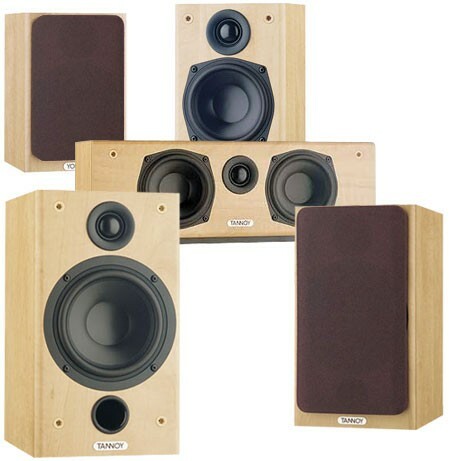 And I found several models that were quite similar to the little 10 cm Tannoy woofer "made in China". 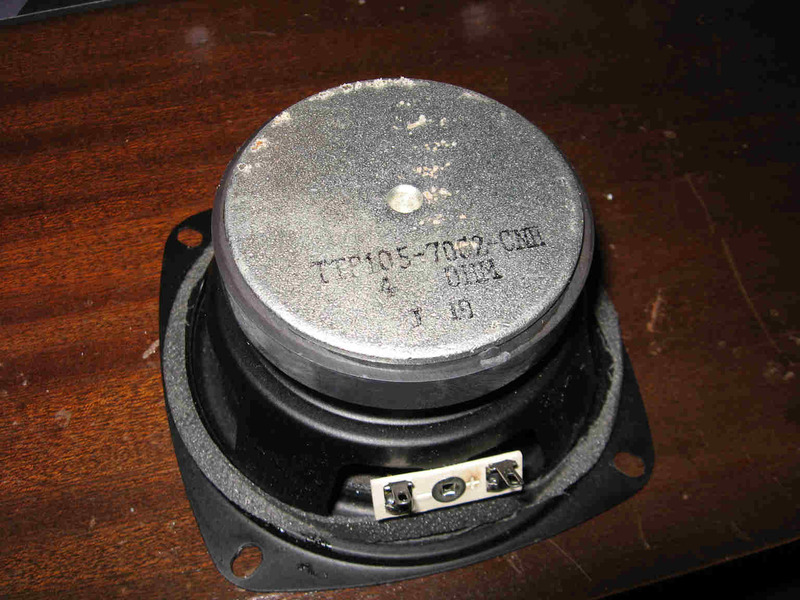 Monacor, model SP-100, did I not know this brand from other components? Monacor and the better shaped cone. The magnet of the Monacor is twice as heavy and the pole pieces are much thicker. 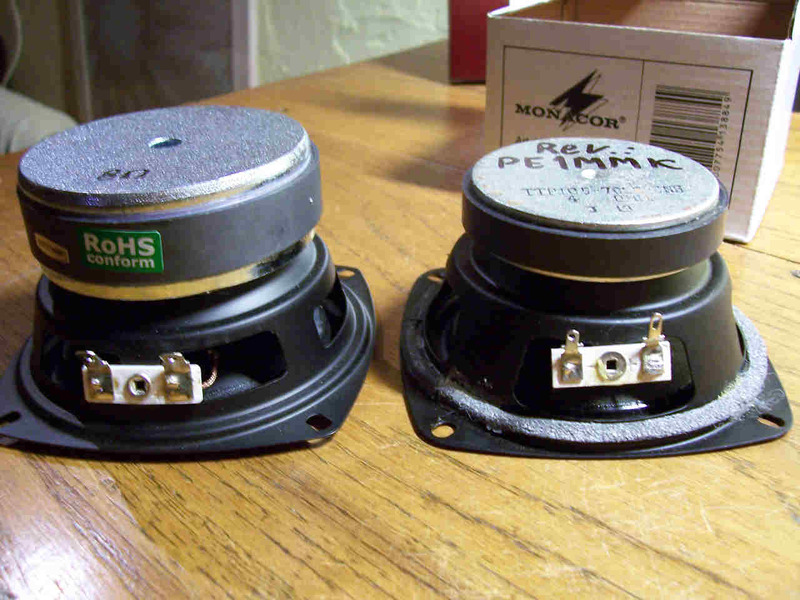 The Monacor has also a better frame and the voice coil is vented. The sound of the Tannoy MR has improved with these modifications. © PE1MMK Hans Hilberink, last update: 16-05-2011.